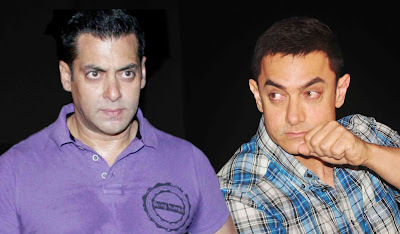 Home / bollywood / stories / trending / Salman hates Aamir, Check why? Aamir Khan's Dangal has hit the screens and oh boy, It's running houseful since then. It's The exact reason why Aamir does very few films when compared to other actors (Quality over Quantity). But, Someone doesn't seem to be happy with the Success Of Dangal. That's none other than the competitor to Aamir, Salman Khan. As both the movies Dangal and Sultan, focus on wrestling and winning Gold Medals for the country. Dangal seems to have an edge as the conveyed message is stronger and throws light on the strength of women and what one can achieve with sheer determination and Hard work. Salman Confesses online that he hates Aamir. Don't Believe us? Haha, this is why people love Salman, because of his sheer humor and competitive spirit.